REPLYING after two months, the Code of Conduct Bureau, CCB, has declined a request by the International Centre for Investigative Reporting, ICIR, a non-profit news agency, for details of assets declared by President Muhammadu Buhari’s cabinet members. 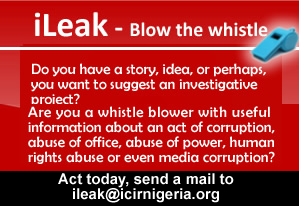 In a letter dated January 16, 2019, The ICIR had requested for “details of all asset declaration of all cabinet members in the present administration”, including the Secretary to the Government of the Federation, Chief of Staff to the President, Head of Civil Service of the Federation, National Security Adviser, as well as 31 ministers. In its response delivered to the Abuja-based media organisation on Friday—but dated February 19, the bureau however turned down the application, while making references to provisions of the constitution and Freedom of Information Act. “Furthermore, section 14(1) of the Freedom of Information Act, 2011, has exempted asset declarations of public officers from documents that can be accessed via reliance on the provisions of the FOI Act,” it continued. “In view of the aforementioned, the Bureau hereby declines your request,” concluded the letter, signed by Ekenna Okezie-Okafor on behalf of the chairman. In 2015, the CCB gave similar reasons for refusing to provide the assets declaration forms of the heads of the CCB, Code of Conduct Tribunal, and Nasir El-Rufai, governor of Kaduna State. “By virtue of sections 12(1)(a)(v), 14(1)(b) and 15(1)(a) of the same Act [FOI Act], the Bureau is not under any obligation to grant your request which constitutes invasion of personal privacy,” it had written to the Advocate for Peoples Rights and Justice, an advocacy group. The position of the bureau was upheld in 2001 by a Federal High Court sitting in Lagos. The court had ruled that “Nigerians do not yet have the constitutional right to inspect the assets declaration forms of public office holders” as the National Assembly had not prescribed the conditions for such inspection. Some would argue, however, that the enactment of the FOI Act in 2011 should effectively reverse this trend. Considering that the CCB remains unyielding in its non-disclosure of forms without the consent of declarants, it is unclear how Dennis Aghanya, the Executive Director, Anti-corruption and Research-based Dada Initiative (ARDI), obtained copies of the forms submitted by Walter Onnoghen, Nigeria’s suspended Chief Justice. ARDI, a civil society group, had written a petition to the Code of Conduct Tribunal against Onnoghen, extensively making references to the omissions from the judicial officer’s assets declaration form. The country’s Evidence Act provides that improperly or unlawfully obtained documents are generally not admissible as evidence in court — “unless the court is of the opinion that the desirability of admitting the evidence is out-weighed by the undesirability of admitting evidence”. Is CCB acting within its powers? Edetaen Ojo, executive director of Media Rights Agenda, a civil society group that promotes press freedom, said he believes the position of the CCB is wrong and might have arisen out of on obvious conflict of interest since the bureau’s officials are also expected to formally declare their assets. “But when you see what they’ve done in the case of the Chief Justice of Nigeria, they are selectively releasing declaration of assets for those that they want to go after politically,” he added. He further contended that the bureau’s argument is a perverse interpretation of the law and that it illogical for it to claim that it is waiting for the National Assembly to specify terms and conditions in the face of the Freedom of Information Act that now permits members of the public to have access to information held by public institutions. Declaration forms are generally seen as public documents in several other countries across the globe. For instance, in Argentina, asset declarations may be easily accessed by members of the public. “As such, a list indicating the names and posts of officials who have submitted or not submitted declarations must be published on the Internet and in the official government publication within 90 days of receipt by the AO [Anti-Corruption Office],” notes the World Bank. Other countries where the public is granted access to asset declaration forms include the United States, Slovenia, Mongolia, Hong Kong, Croatia, Russia, the Philippines, among others. The response from the CBB was not delivered until more than two months after the FOI request was made (January 16), though dated February 19. The delivery was made following an ex-parte application filed before the Federal High Court, Abuja, by The ICIR with suit number FHC/ABJ/CS/212/2019, and three days after the case was first heard. The Freedom of Information Act stipulates that, within seven days of receiving requests, such requested information shall either be made available to the applicant or “the institution shall give written notice to the applicant that access to all or part of the information will not be granted, stating reasons for the denial, and the section of this Act under which the denial is made”. The primary function of the CCB is to receive assets declarations by public officers in accordance with the Code of Conduct Bureau and Tribunal Act, to examine the declarations and ensure that they comply with the requirements of the law, and to take and retain custody of the declarations. The bureau has, however, repeatedly denied requests for access to asset declaration documents. Similar requests made in the past by the African Centre for Media and Information Literacy (AFRICMIL), Public and Private Development Centre (PPDC), and Punch Newspaper were also not granted. Meanwhile, the FOI Act gives Nigerians the right to have access to such documents, as the assets declarations, which are in the custody or possession of any public official, agency or institution. Section 20 of the Act provides that if requests are wrongfully denied, the applicant may apply to the court for a judicial review of the matter “within 30 days after the public institution denies or is deemed to have denied the application”, and such cases are to be summarily decided. Asides’s the CCB, other respondents in the court case are chairman of the CCB, Muhammed Isah, and Attorney-General of the Federation, Abubakar Malami. Through an ex-parte motion filed at the Federal High Court, The ICIR is seeking a declaration that the bureau’s failure to make available the information requested “amounts to a violation to the applicant’s right of access to information established and guaranteed by section 1(1), and 4 of the Freedom of Information Act, 2011”, and a declaration that its refusal amounts to wrong denial under sections 4(b) and 7(5) of the Act. The motion is also praying the court to make an order of mandamus compelling the CCB and its chairman to make copies of the requested documents available to the applicant, as well as an order compelling the Attorney-General of the Federation to “initiate criminal proceedings against the 1st and 2nd Respondents for the offence of wrongful denial of access to information”. Another relief sought by The ICIR is the sum of N1 million, to serve as exemplary and aggravated damages for the unlawful violation of the well-established right of access to information. At the first hearing on Tuesday, the presiding judge, Justice Inyang Ekwo, advised the applicant to write a reminder to the first respondent, the CCB, and then adjourned the proceedings to May 7. The CCB’s response two days later, however, negated the need for this, showing clearly that the bureau did not comply with the stipulations of the law regarding time and is unwilling to make the requested forms public. FACT CHECK: Can a non-lawyer become Supreme Court Justice? And is Tanko a non-lawyer?